We’re all the same in that we wash, dry, iron, fold – so why do so many houses put their washer and dryer in a cupboard? How is it possible that so many plans find it reasonable to tuck such regularly utilised equipment away as if to pretend they only gets used occasionally? Perhaps we should be grateful for society advancements that saw the washer and dryer enter the home the way the toilet did. Growing up it was common to go outside and under the house to access laundry facilities. Clearly this was a long time ago as we then saw an upgrade to family chore efficiency when the washer and dryer moved to a dark corner of the garage. We then had the pleasure of accessing these frequently utilised necessities while standing on a plain concrete floor (assuming vehicles didn’t get in the way) and indoor drying was commonly spread across the garage. I must say, we really do know how to get the most out of our garage – not only does it house our stinky, dirty vehicles but it’s also where we regularly hang our fresh, clean clothes; be careful not to drop that wet t-shirt on the floor! Well we’re here to sell the benefits of a lovely and reasonably sized laundry room. No it does not have to be huge but it should be big enough to house your washer and dryer and room for some indoor drying. To make it even better, we add a few pretty cabinets so when you’re doing those much needed chores on a VERY regular basis, you’re still enjoying a lovely space that will make it a pleasure to work in. 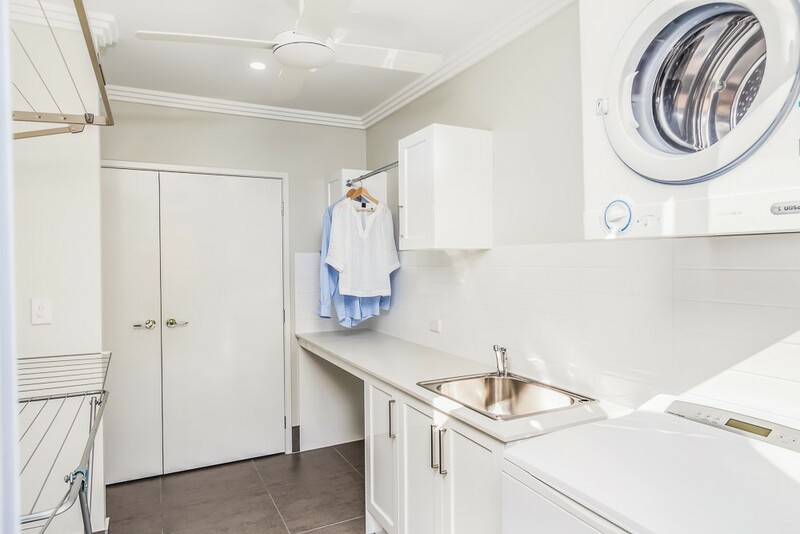 At Manasons, we put a great deal of thought into our laundry rooms and aim to create a space which is both functional and appealing.